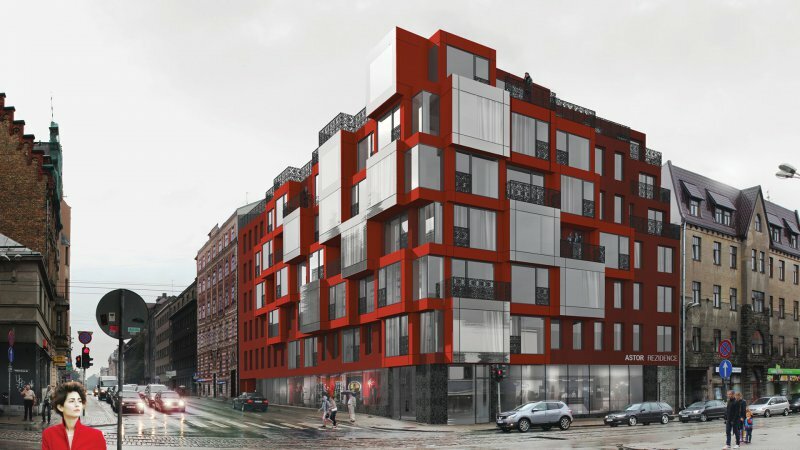 Construction of a new luxury apartment building, Astor Rezidence, has begun in central Riga on the corner of Lāčplēša and Kr. Barona streets. The construction is being carried out by one of Latvia’s biggest and best-known building companies, LNK Industries, the plan being to put the complex into commission by the end of 2015. LNK Industries says the apartments will contain “everything needed for a convenient and comfortable life” and that residents will be “people who value time, comfort and modern technologies”. Panoramic views of the city are promised from the windows of the individually designed apartments. There will be 40 apartments with total areas varying between 57m2 to 214m2, a 497m2 commercial area, and a private underground car park. The building was designed by the NRJA architect bureau, known for such high-profile projects as Z-Towers across the river from the Old Town. Not much office space available in Riga To the tower!